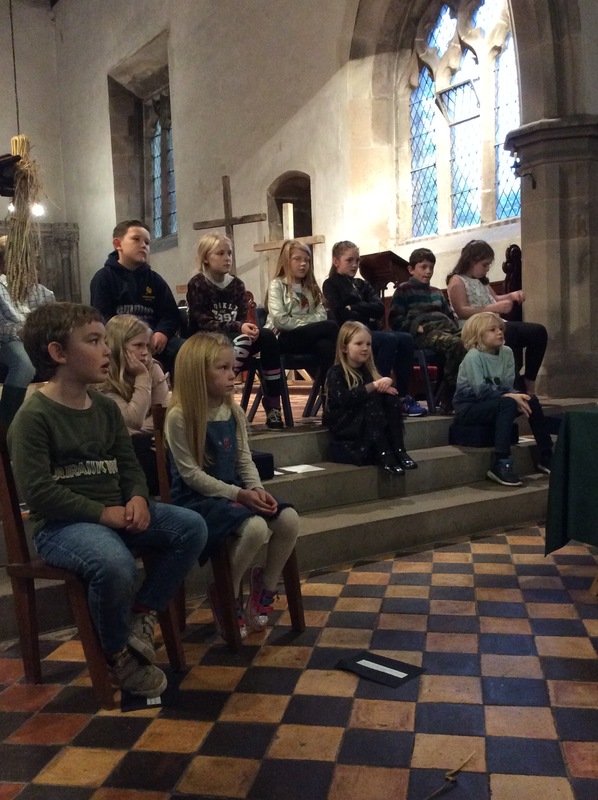 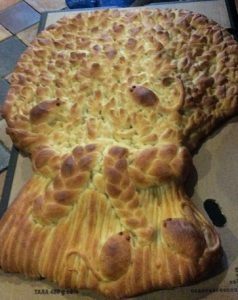 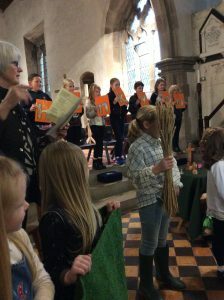 On Sunday 7th October the children joined the community for the church Harvest Festival service. They participated in a poem called ‘This is the World that God made’, sang ‘Share the Light of Jesus’ and ‘I, the Lord of Sea and Sky’, read poems and prayers. 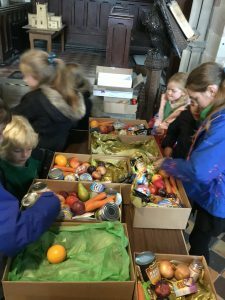 This was followed by the traditional Pea and Pie supper in the village hall and fruit crumble. 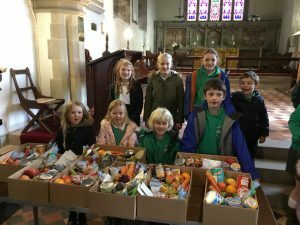 The Harvest boxes for the elderly residents were packed carefully by the children on Friday 5th October in church and will be distributed during the week. 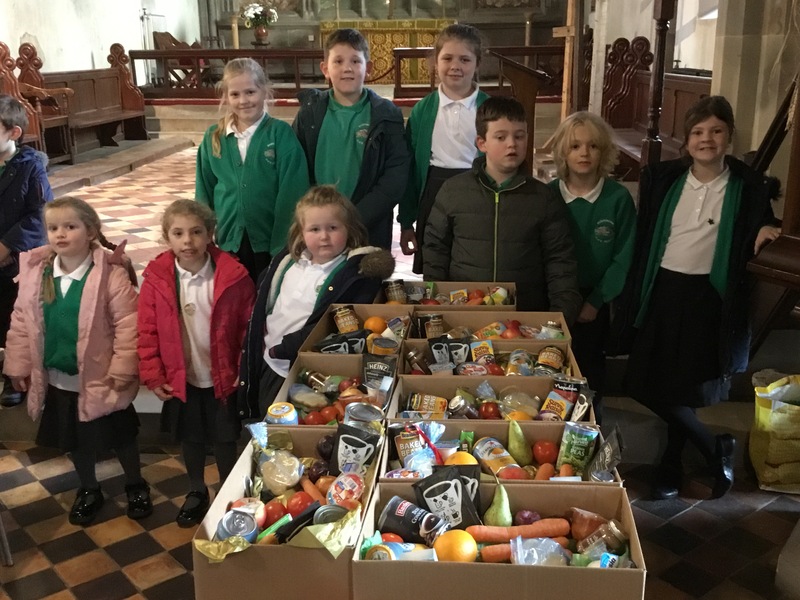 Some residents have kindly donated their boxes to the food bank in Ashbourne. 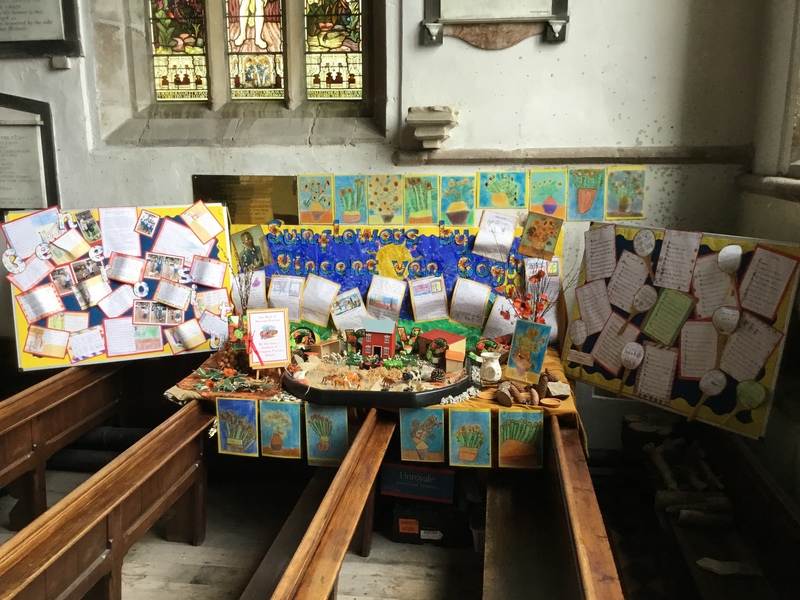 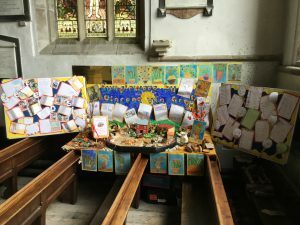 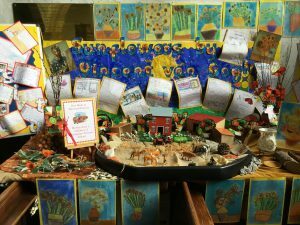 Children have completed work for the Harvest display in church and should you visit please don’t forget to take a look.